Over the next two weekends (Nov. 9-10 & Nov. 16-17) hundreds of rowers across the country will compete in the “USRowing Fall Speed Order” at three locations in three different regattas: the East Coast (Princeton, New Jersey); the Midwest (Oklahoma City, Oklahoma) and the West Coast (Oakland, California) Fall Speed Orders. I like to think of the Fall Speed Order as this sort of super challenge. 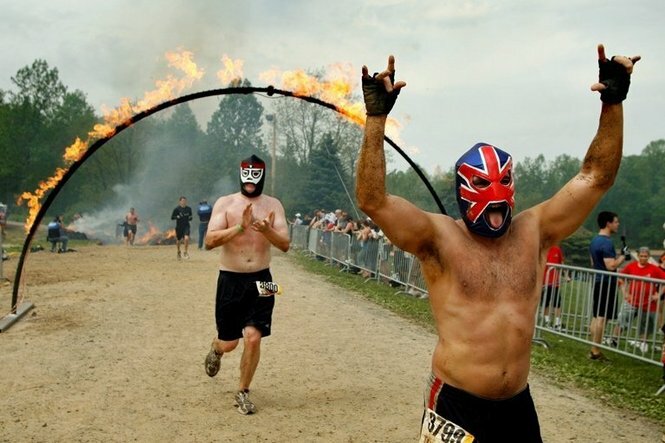 People make a big deal about the “Tough Mudder” or their latest ultimate CrossFit challenge. Try this for a weekend, all you weekend warriors. Okay, maybe it would be a bit more “fun” if you were rowing through rings of fire or had paintballs thrown at you from the Harrison Street Bridge (take a minute, picture it…). Or if you could drop little banana peels and mines for someone who was speeding up behind you like in Mario Kart, and then there was a beer and a band playing “Another One Bites the Dust” waiting for you at the end of the race. And people wonder how to make rowing a more spectator-friendly sport? So WHAT is the Fall Speed Order, you ask? First, you sit on the erg (ergometer) and withstand 6,000 meters of pain and fury as you plug away at (trying to) pull the best 6K time you can in the fantastic or more likely, mediocre shape that you’re in. You are in a crowded, hot and stuffy erg room with 30 other athletes all trying to finish before you. It’s silent, save for the sharp breathing and occasional grunts as people endure the lactic acid building up in their system. You’ve put together the ultimate playlist on your iPod, but it still doesn’t drown out the sound or the awareness of what is happening around you as you stare at the floor to ceiling, room-length mirror in front of you, taunting you to pull harder each stroke. 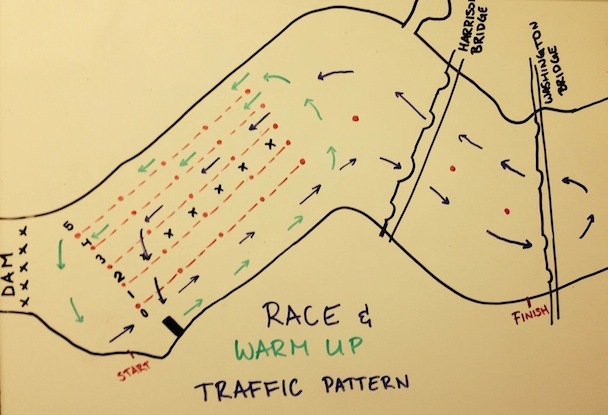 It’s the fall, so you may be in great shape from training hard or you may be coming off of your summer racing “break” and just enjoying the fall head-racing season. Whatever situation you find yourself in, sitting through 19-22 minutes-ish of pain is never “fun”. To top it off the little man in your iPod shuffle screams at you “Battery Low” and shuts off as you come into your last 1200 meters. At this point, it almost doesn’t matter because the voice inside your head is screaming at you even louder to “JUST. KEEP. GOING! !” Your vision begins to blur as the oxygen deprivation slowly takes over. Finally, with one last heave you pull the meters all the way to “0” and collapse onto your knees gasping for breath–or maybe you look triumphantly around, having finished at the front of the pack–as other people are still slamming themselves up and down the slide, desperately trying to finish their piece. Oh, you think you’re done? Put that beer down. It’s only just beginning. You spend the rest of the afternoon resting, eating, hydrating and continuously pressing refresh on your computer screen or smart phone to find out what the start order for the next day’s head race–a four to five kilometer piece on the water–will be. If you didn’t get a chance to get on the water before the erg test, you take your single out for a quick late afternoon paddle to familiarize yourself with the course. You squeeze into your compression tights after an ice bath and settle in for a wild Saturday night of Netflix and electrolyte replenishment. The following morning you wake up to the sound of the wind roaring outside against the windows. It wouldn’t be a fall speed order without a wind advisory in effect. Oh yeah, and the temperature is a balmy 35 degrees (Fahrenheit) outside. Don’t forget to pack your warm gear and pogies! The head race is time trial style which means you go off one by one with about 20 seconds between you and the next boat. The fun thing about this is having the opportunity to pass other boats…the not so fun thing about this is having to deal with passing other boats (or the demoralizing feeling of being passed by another boat). Head races are usually not on a straight course and involve some turns, looking around and making sure you don’t cut any buoys that may end up giving you a big fat time penalty. (Hint: if you’re unfamiliar with the course, take a few practice runs up and back taking note of landmarks to point off of, awkwardly placed buoys, etc.) A lot of time is saved by avoiding having to look around and being able to steer a good course. Fear not, the rings of fire won’t be put in until race day. East Coast Speed Order – Carnegie Lake Traffic Pattern (no, this is not my work of art. Photo courtesy of USRowing). After battling a 15-20mph wind that, even on a course that changes direction, somehow is ALWAYS a headwind, you cross the finish line hearing that glorious call from the referee, “over.” You go immediately from a stroke rate 36 to 0, relaxing your burning legs and slumping over your oars, gasping in the sharp, cold air. Now your weekend challenge is finally over. Cue the music.